I got into nail polish probably as the last wave of China Glaze holographic polishes were being sold on e-tailers. Then, I didn't realize how lucky I was. Now, I wish I would of bought the full OMG and Kaleidscope collections, but I only bought a few from each. That being said, I'm glad I got a few then because I know I wouldn't be to able to afford the handful I have now with the prices today. 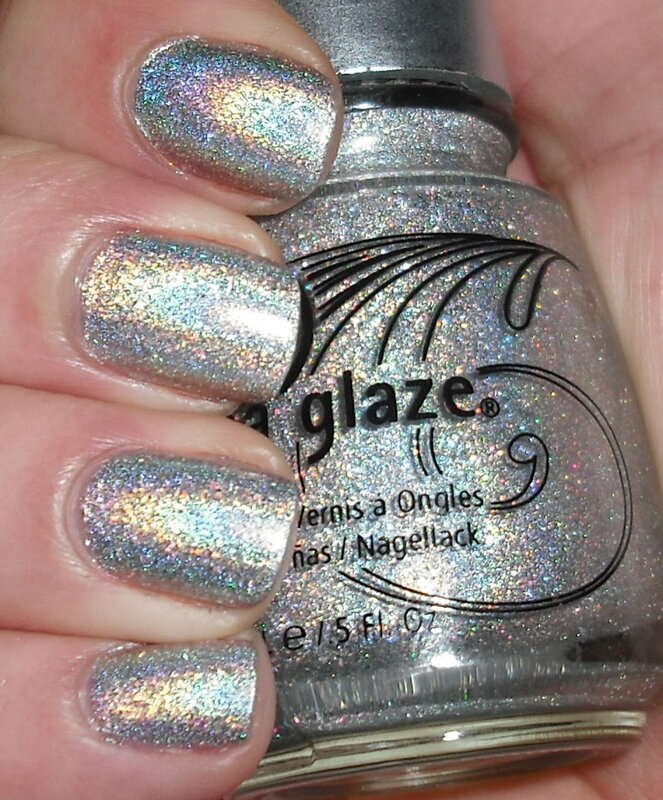 Sexagon is a bright silver scattered holographic polish. Holo-riffic! I really like this polish. 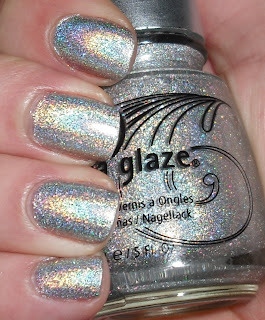 My China Glaze holographics are my most treasured polishes. I know there are better holos out there, but I don't have them. I know many people franken with these, and I couldn't ever! I feel guilty even using them. Thanks for the link! I'm almost out of everything I found, but I hope I made some folks happy! I think I got into nail polish around the same time as you because most of them were still available. I just couldn't order anything then. They all look so pretty and fun!! I hope I find one someday. wow I love this color it's amazing!! Omg, I know girl me too with the polishes. When I got into it, there were quite a few on etailers and then before I knew it, they started disappearing. Ugh...if only I could go back in time. Looks gorgeous on you! The kaleidoscopes are so amazing, they might not be the most linear holos but they make up for it being holo in dim light. <3 I found some pretty cheap on ebay, but I wish I had been a nailpolish-aholic sooner, LOL. ::sigh:: I only got into nail polish last summer (was a cosmetics girl for a while). So I missed ALL of the good holo collections. working on getting some through dusties - will definitely keep an eye out for sexagon its gorgeous on you! I got into polish after both collections left etailers. *sobs* I've gathered a few from EvilBay, but only when I see them for under $11 or so. This one is incredible, but I haven't been able to get my hands on it yet! so so so so so jealous! I bought a ton of colors from April. She was so sweet to do this and help us complete our collections.